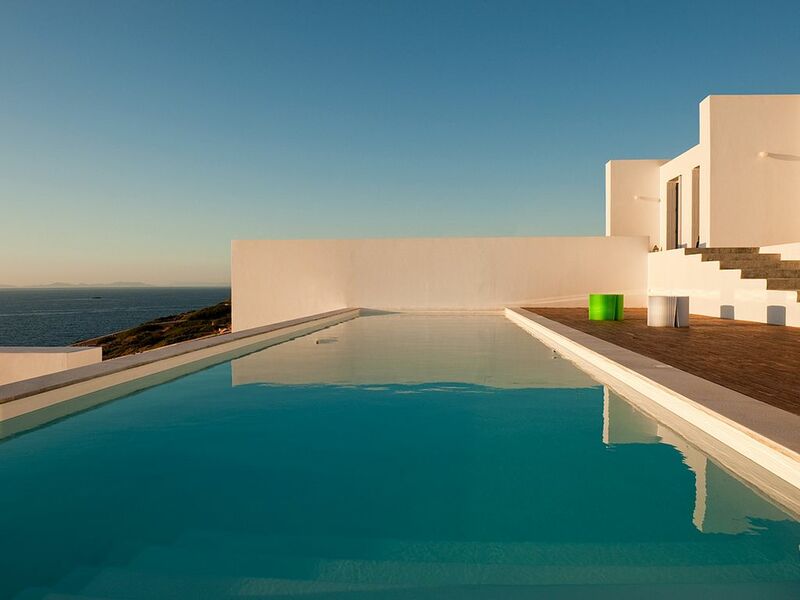 On the west side of the island of Paros, a gated villa-complex overlooking the famous Antiparos, Villa Armonia offers spectacular views of the deep blue of Aegean Sea and the unbelievable Aegean sun set. It is only 450 m. from the beach with two traditional restaurants with delicious food. - It is located 5 km from Parikia and 400 m from a fantastic sandy beach.